CHESTER — Calling all knitters/crocheters! Do you have 30 yards of yarn lying around? Knit a square for Project Amigo at the Congregation Beth Shalom Rodfe Zedek (CBSRZ) Knit-In to benefit Project Amigo. The Knit-In will be held at CBSRZ, 55 E. Kings Highway, Chester, on Sunday, July 15, 2018 from 1 to 2:30 p.m.
You will be joining fellow yarnsmiths to make knitted or crocheted 6 inch by 6 inch squares for afghans. The squares will be sewn together by seamstresses in Mexico and distributed to students who are being sponsored by Project Amigo. This is a charity that supports students from Colima in rural western Mexico so that they will be able to create their own educational opportunities and pathways to better their quality of life in Mexico. 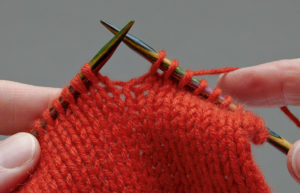 If you would prefer, you can knit or crochet your square(s) ahead of time and bring them to the Knit-In. Each square needs to be 6 inches by 6 inches, any pattern and any type of yarn. For knitting directions, visit www.srbrown.info/afghans and select directions. For more information, call the CBSRZ office at 860-526-8920. Project Amigo supports students from Colima, Mexico so that they can create their own educational opportunities and improve their quality of life. To do this, the financial barriers to education are removed through scholarships that include school fees, transportation, uniforms and school supplies, and a hot lunch. Project Amigo staff also provide tutoring and mentoring during Project Amigo Homework Club. These Clubs also provide a way of keeping in close touch with the students so problems can be identified before they become so severe that the student is forced to drop out of school. Opportunities are also provided for volunteers from other countries to perform valuable humanitarian service that creates and fosters friendship, and understanding across cultures. Education and literacy are powerful tools to create a brighter future for the world’s children who in turn benefit the nations they live in. Since 1984, Project Amigo has worked with rural youth in Mexico to continue their formal schooling including university level.